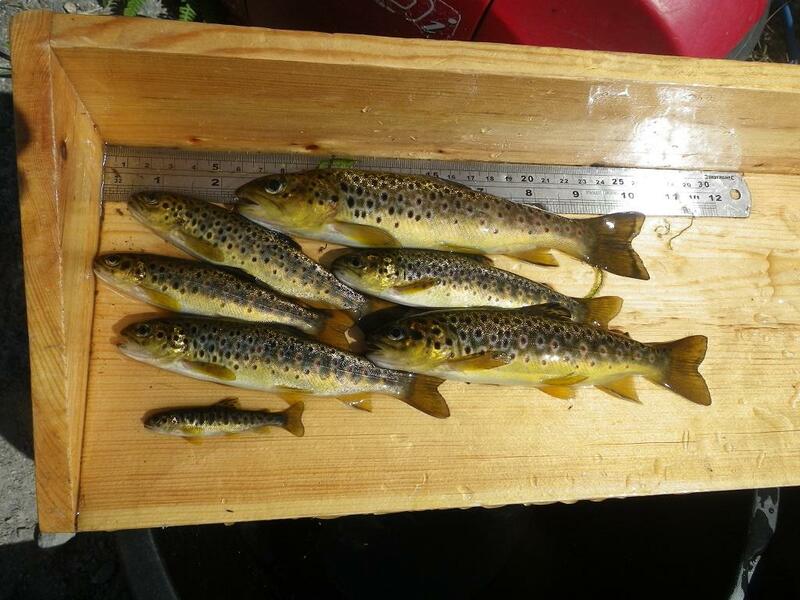 Some very healthy looking trout caught in the Fleet Catchment. The Water of Fleet is an important catchment for both sea trout and salmon. 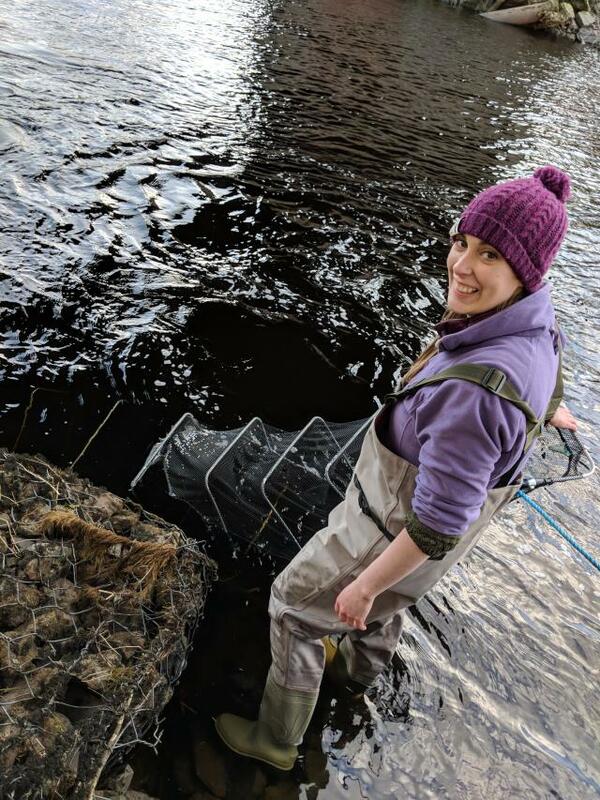 Draining of peatlands, conifer afforestation and poorly buffered soils mean the upper reaches of the catchment are acidified which has a negative impact on salmon and trout populations. 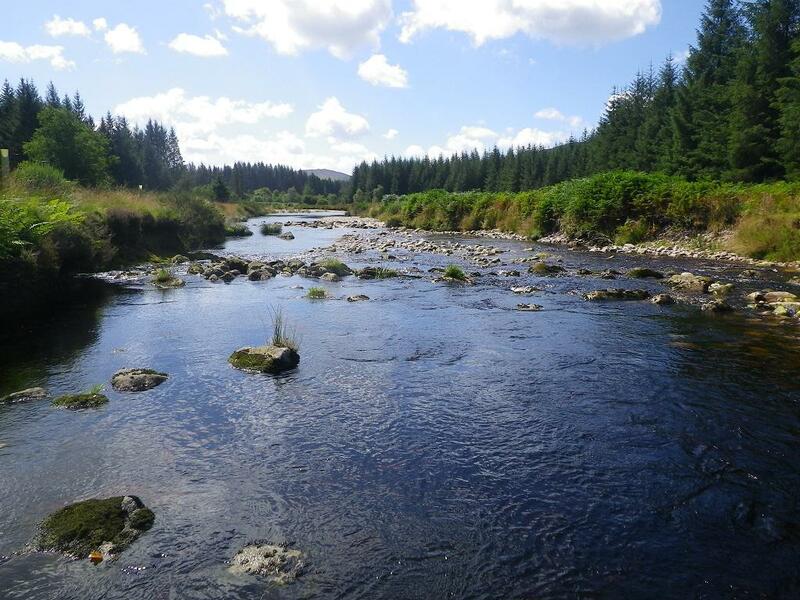 GFT have monitored the health of salmon and trout populations on the Fleet catchment for many years. Recently, GFT have written a report examining densities of juvenile salmon and trout between 2016 and 2018. This report covers 22 monitoring sites in the Fleet catchment, some of which were monitored over multiple years. Juvenile salmon populations were only recorded in the mid and lower reaches of the Fleet catchment. Although salmon fry were recorded at six sites, only three sites contained salmon parr. Salmon only access the lower reaches of the Little Water of Fleet due to an impassable waterfall. Juvenile trout were found throughout the Water of Fleet catchment with trout fry recorded at 19 out of the 22 sites surveyed. However, the densities of trout fry varied with low densities recorded at eight sites (most of these sites were located in the upper catchment). Trout parr were recorded at 12 out of the 22 sites. Again acidification of the upper catchment has a negative impact on trout populations, although some recovery of trout stocks has occurred. The distribution of trout is still sporadic in the upper reaches due to a low number of trout (both resident and sea trout) successfully spawning. Therefore, GFT and the Fleet DSFB continue to work with various organisations to undertake mitigation works, including forestry restructuring, peatland restoration and removal of riparian conifers to promote further recovery. A copy of this report is available to download on the Water of Fleet DSFB page within the website.